From here you may obtain information about our company, locate a trade-person or order materials online. Our ambition is to offer a 1st class service at an acceptable cost, and to be better than our competitors. 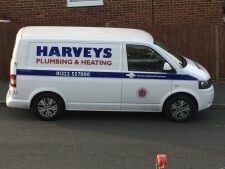 We are a 24hour Emergency Plumbing, Heating & Building Company that has been trading 37 years. We started trading on 24th December 1981. We undertake the following works with the correct certification. General Plumbing, Heating, Boilers, Gas, Unvented systems, System flush, bathrooms, Energy Efficiency including Part P and Part L certification. We also opened our own Trade & Retail shop in Crayford Kent on 1st July 1999 see our news page but have since moved. By clicking on the items marked in DARK BLUE will take you to their site, please use your Browser back button to return to this site. 1) If it is not good enough for my house then it is not good enough for yours. 2) We are large enough to cope, but small enough to care.